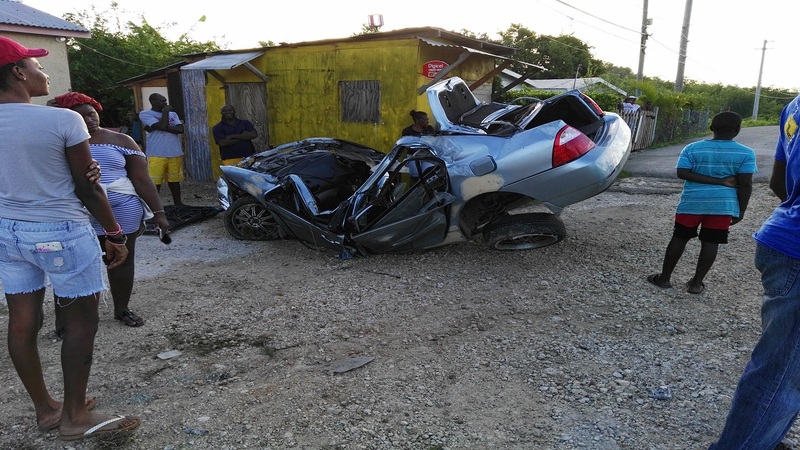 The wrecked Flow van after the accident along the Old Harbour Road crash. 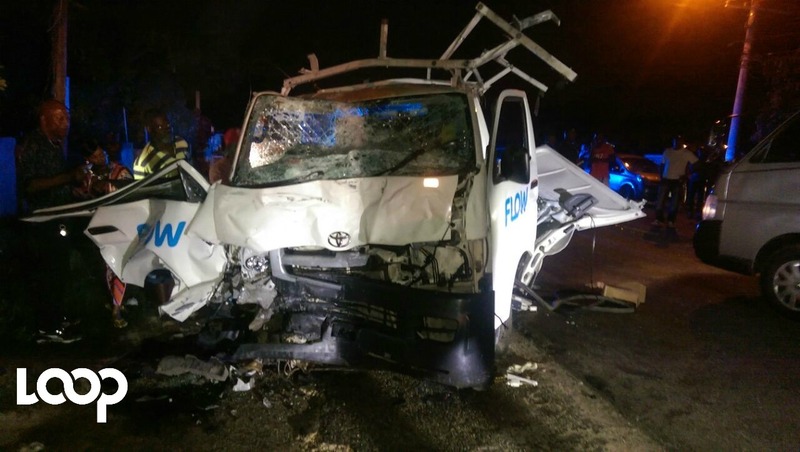 Two persons are dead, including the driver of a Flow utility van, after the vehicle collided with a Toyota Coaster bus along the Old Harbour Road in St Catherine on Tuesday night. Details are unclear at the moment, but Loop News understands that the driver of the Flow van had to be cut out of the vehicle by emergency responders. Loop will track this developing story.